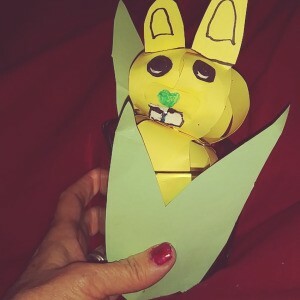 This is a cute little bunny made of paper strips, and it is presented in a glass votive candle jar, with paper grass. 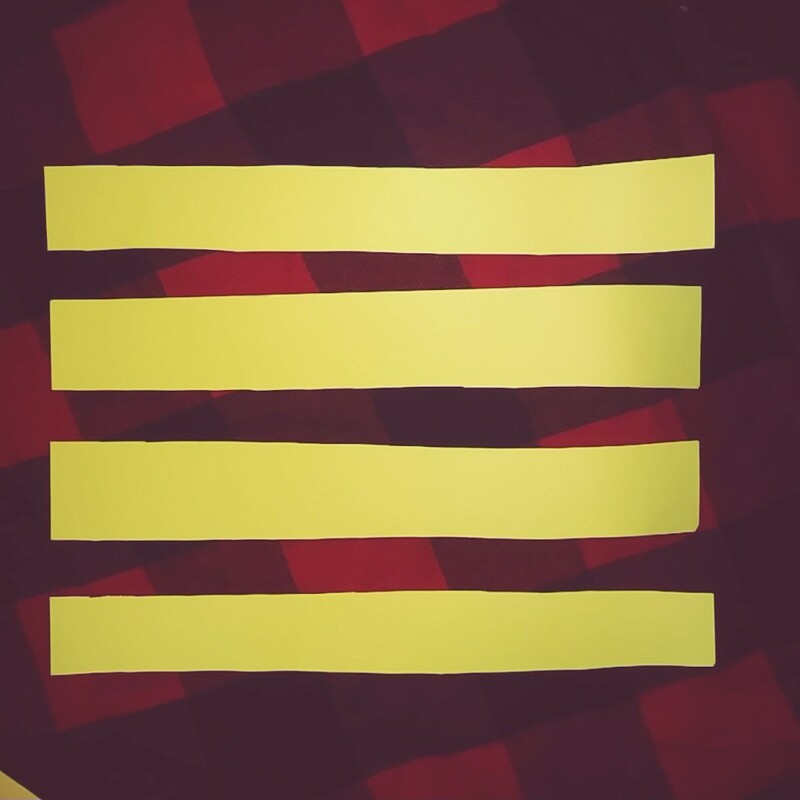 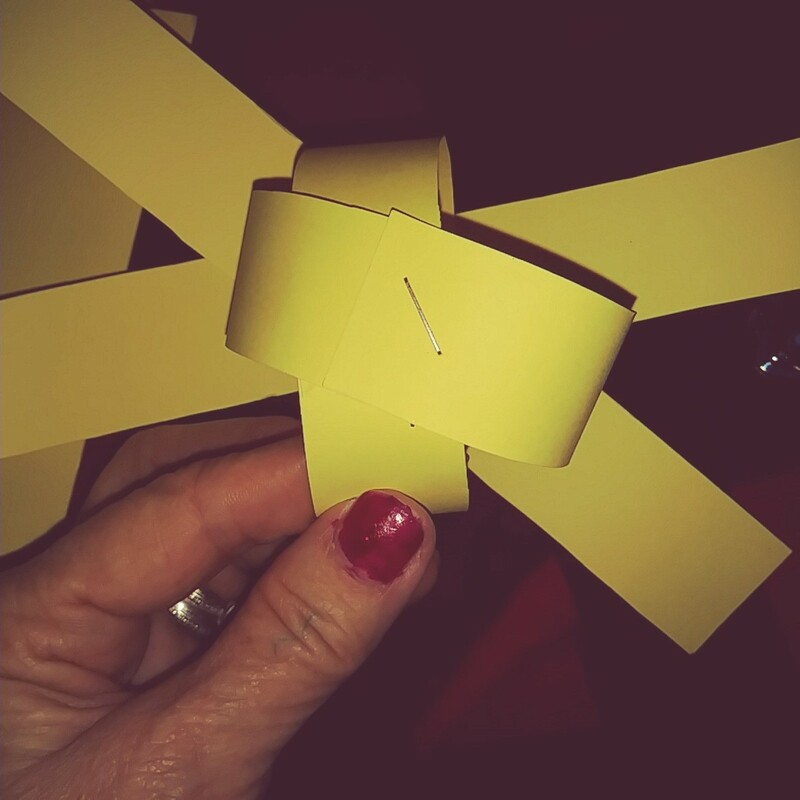 Cut the yellow paper into 4 strips, 1 inch wide and 8 inches long. 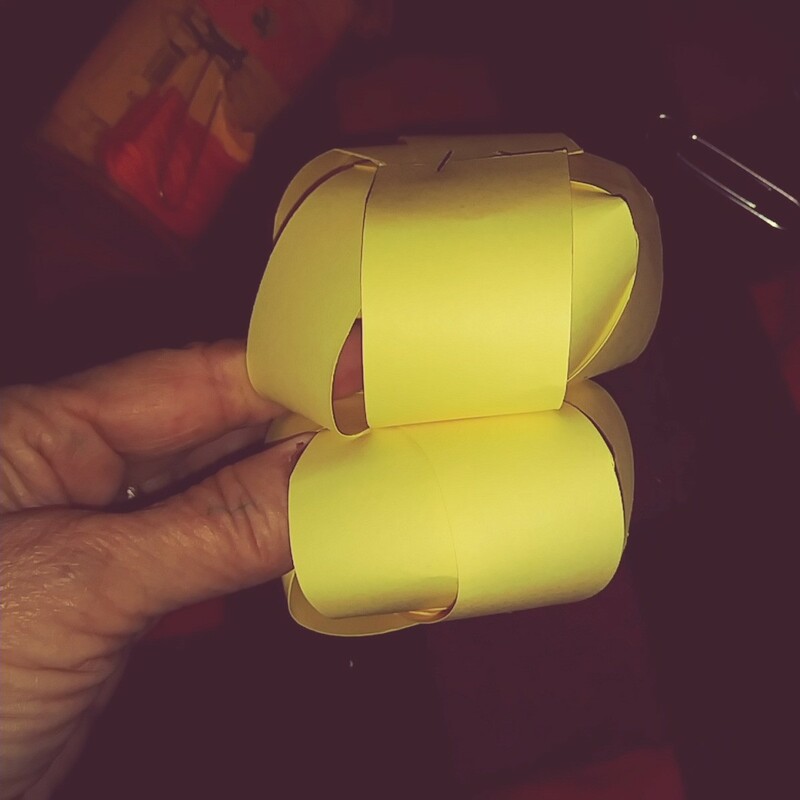 Do this twice. Join four strips in the middle, by stapling or taping. 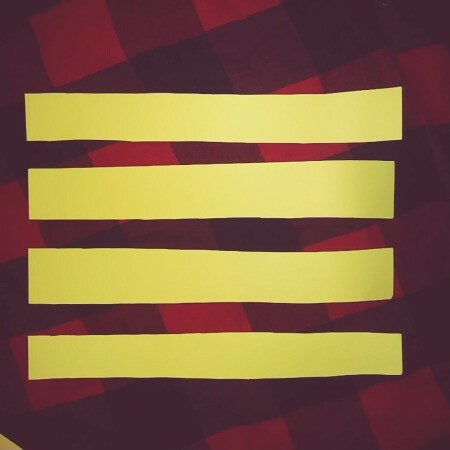 See arrangement. 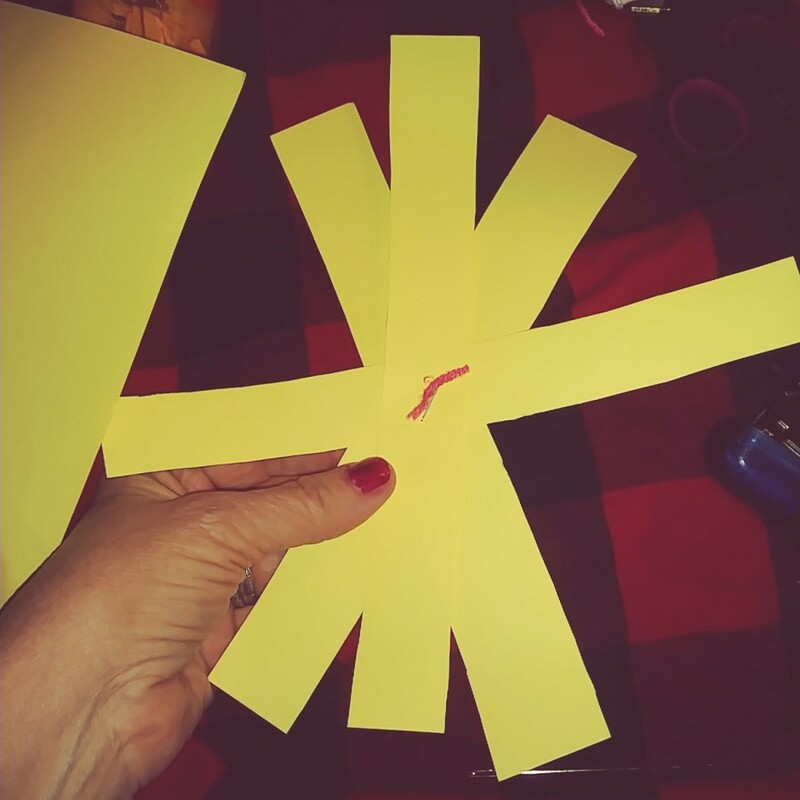 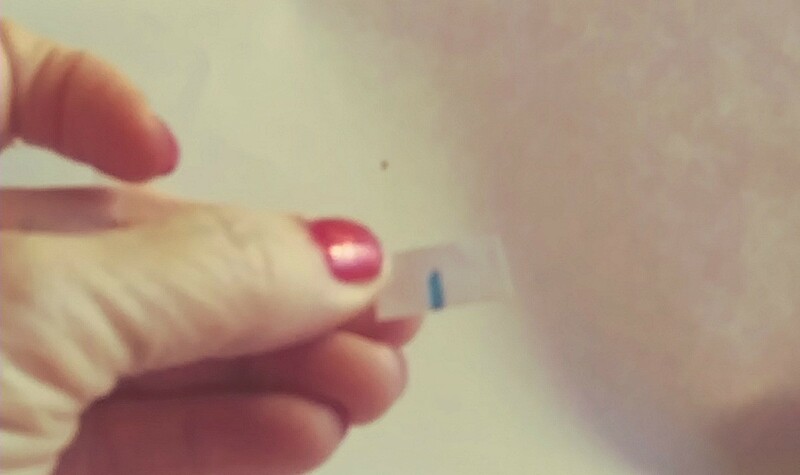 Bring all of the strips together at the top and staple or tape to secure. 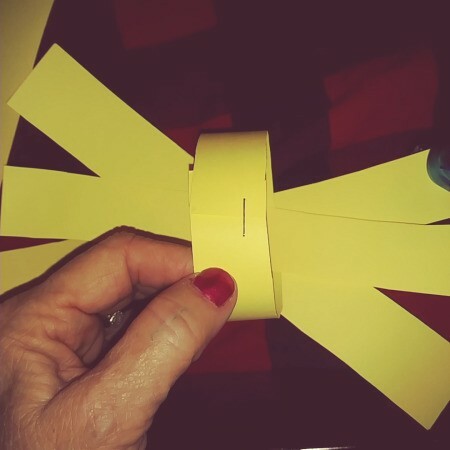 Connect the two paper-strip circles by using two paper clips or tape. 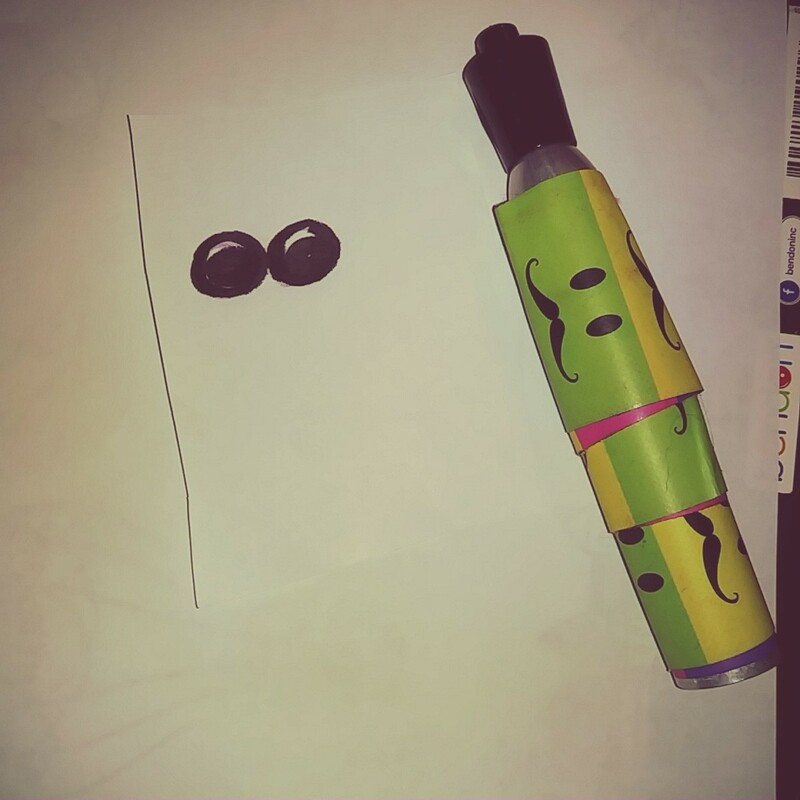 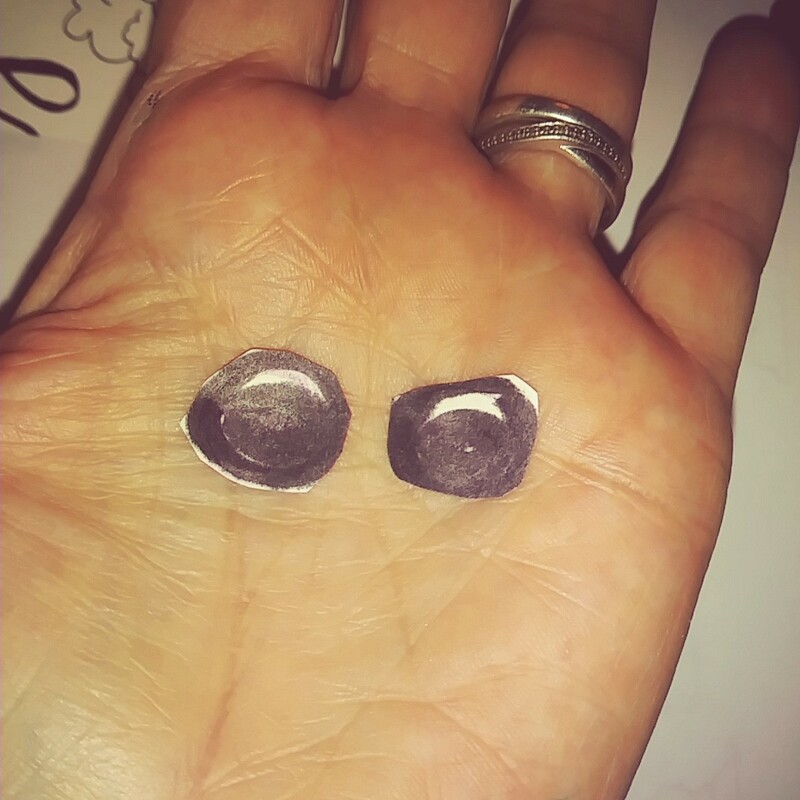 Draw eyes with black marker. 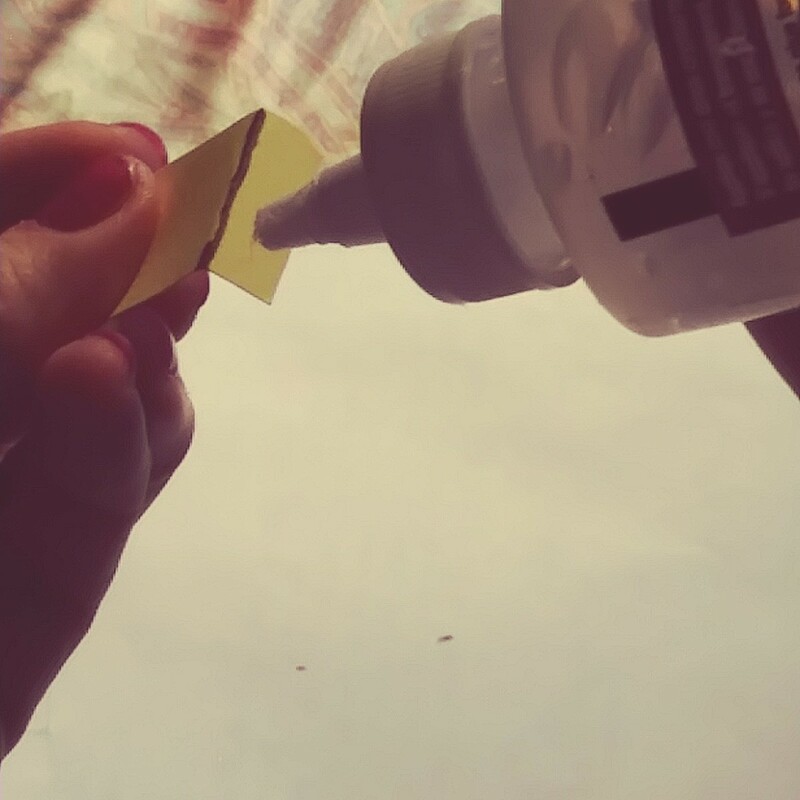 Glue onto bunny. 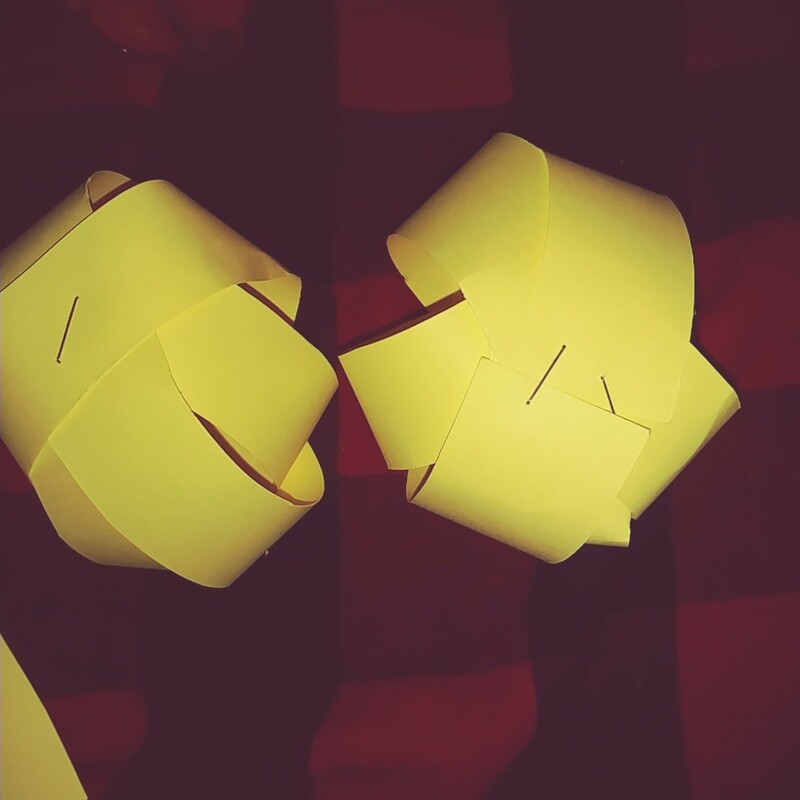 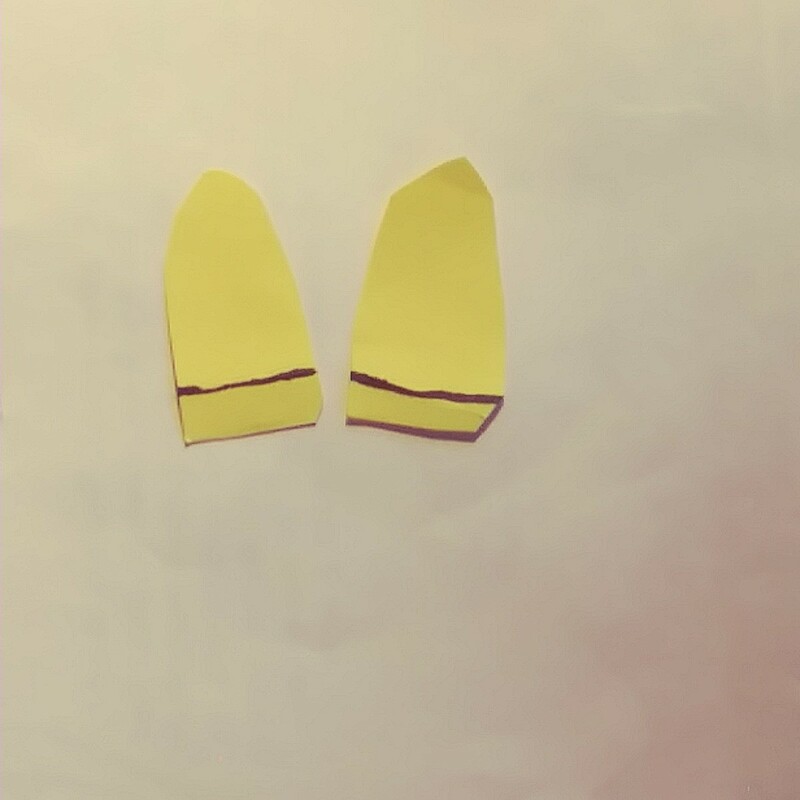 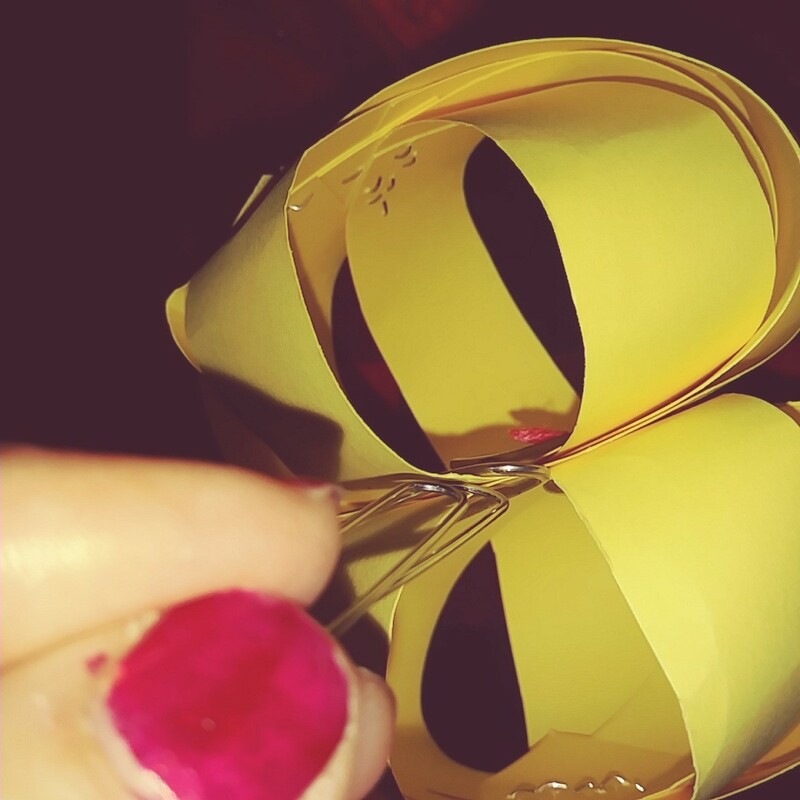 Cut out two bunny ears from yellow paper and outline the inside with marker. 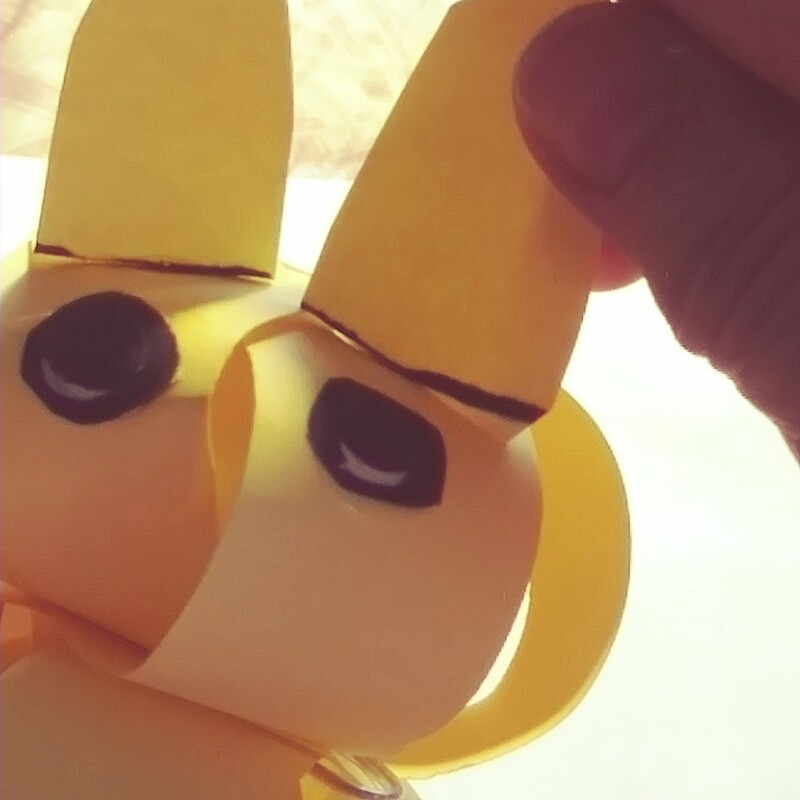 Glue onto the bunny's head. Draw a green heart shaped nose on the bunny. 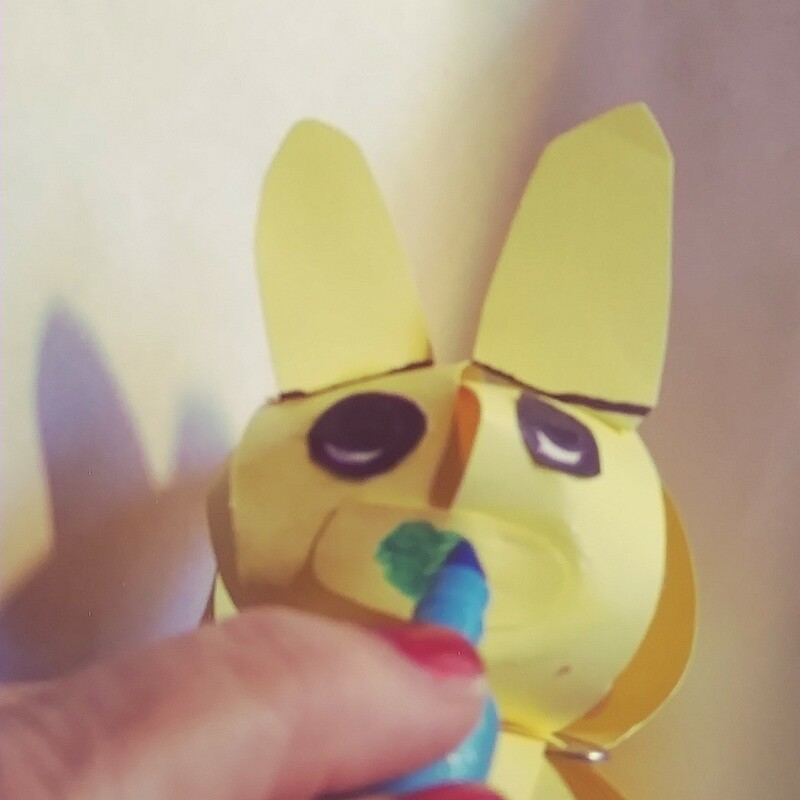 Add teeth to the bunny. 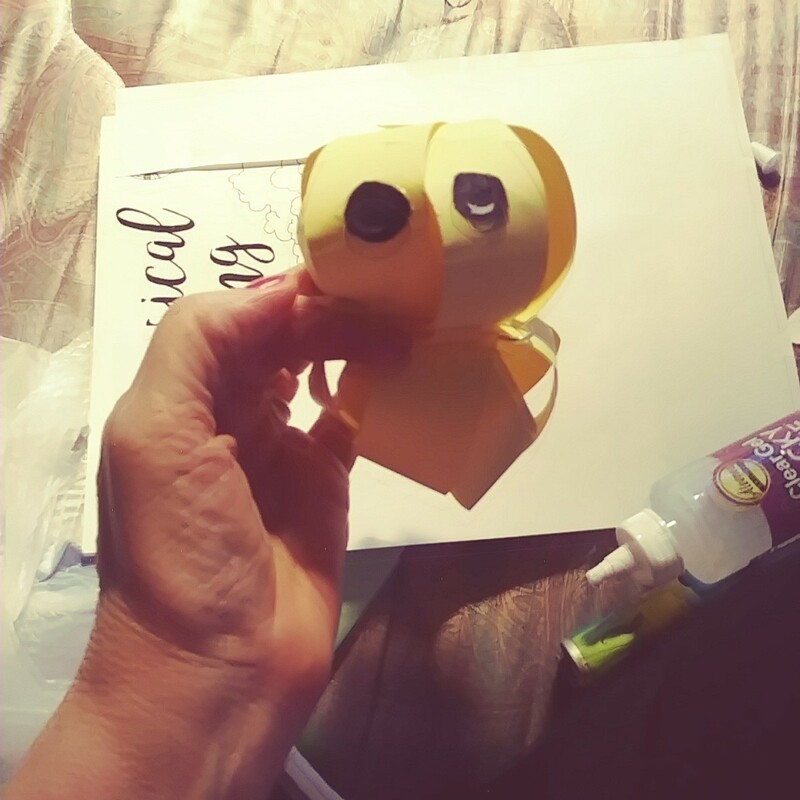 Cut out grass blades from green paper and tape them (or just set them in the votive candle holder, then put the bunny inside.